Store your cigars in a humidor that has a constant 70% humidity. 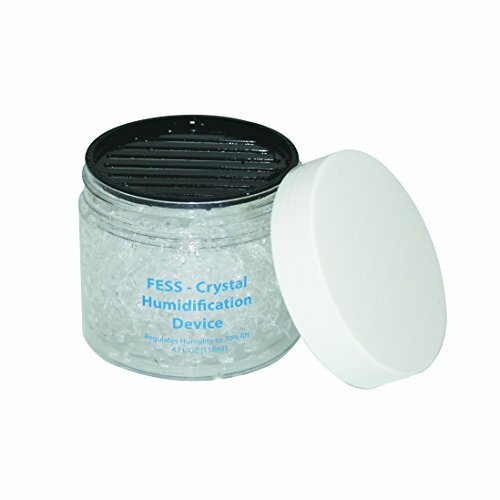 Fess humidifier jar to regulate its humidity. All you have to do is unscrew the top and place it in your humidor! Refillable for up to one year.